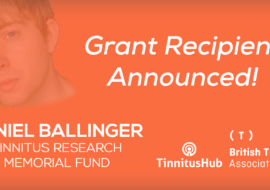 Tinnitus Research Initiative is a non-profit foundation dedicated to improving the quality of life for patients who suffer from tinnitus. It was founded in 2006 with the mission of supporting scientific and clinical research with a special focus on multi-disciplinary and international collaboration, facilitating communication and information exchange among researchers and clinicians, as well as educating professionals who deal with tinnitus. 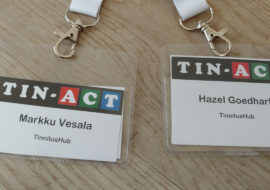 To that end, Tinnitus Research Initiative has established a tinnitus database with the aim of collecting data which can be beneficial in identifying different forms of tinnitus, assessing treatment outcomes, cross-validating different assessment instruments and developing individualized treatments for patients based on their individual diagnostic profiles. Tinnitus Research Initiative was also instrumental in developing the TRI flowchart for patient management. It is a living document that’s constantly being updated based on new research findings and feedback from clinicians that use it. The hope is that the flowchart will contribute to a better diagnosis and treatment of tinnitus patients around the world. 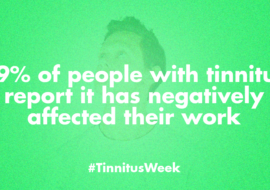 Ever since its foundation in 2006, Tinnitus Research Initiative has held annual conferences where clinicians, researchers and doctoral students from around the world come together to discuss the current state of research and present their latest findings.